With sponsorship from New Canaan Land Trust and Planet New Canaan, the Library presents an informative talk on how native trees, shrubs and other plants can help bring one’s yard to life. 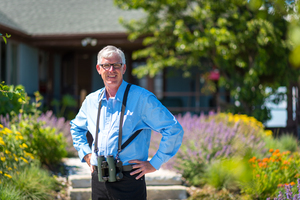 The talk will be presented by Patrick Comins, executive director of the Connecticut Audubon Society. The event takes place on Thursday, April 4 at 6:30 p.m. in the Adrian Lamb Room. Please register online at newcanaanlibrary.org.